10. Coca-Cola Once Contained Cocaine In 1885, Coca-Cola was so named because of two of its ingredients: kola nuts and coca leaves. In the use of the liquid extract from coca leaves, it was inevitable that at least a small amount of cocaine was included in Coke until the substance was altogether eliminated in 1929. In fact, in 1891, when discussions about the negative aspects of cocaine were beginning, the makers of Coke wanted to get rid of coca leaf extract as an ingredient altogether. However, they were worried that it wasn’t right for the product to be named “Coca-Cola” without at least a little coca leaf in it. Nevertheless, even when the product did still contain some cocaine, it was only in such a small amount that it couldn’t have possibly caused any significant effects on consumers. 9. A Coke Advertisement Was Recalled Due To Obscenity Just as obscene images have managed to make their way into some of Disney’s animated films for children, an obscene image was also snuck into a supposedly wholesome Coca-Cola poster released in South Australia during the mid-80s. 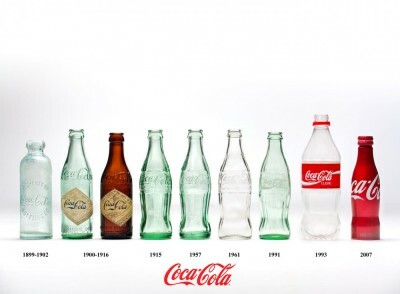 The advertisement was in support of a campaign to promote the reintroduction of the original contoured Coke bottle, and thousands of posters were distributed to bottle shops and hotels across Sydney. To the great shock and embarrassment of Coca-Cola executives, retailers began complaining about the risqué image in one of the ice cubes on the ad. Predictably, the company ordered the recall and destruction of the posters. Furthermore, the artist responsible for inserting the obscene image was fired and sued. 8. Coca-Cola Was Once Boycotted For Anti-Semitism Decades ago, some global companies refused to enter the Israel market because doing so could result in the rest of the Arab world refusing to conduct business with the establishment. The law in the U.S. made it illegal for companies to participate in the boycott against Israel, but because the law was so vague, violations were almost impossible to pin down. 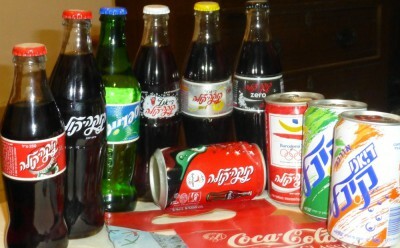 Coca-Cola, for example, was able to justify not bringing their business to Israel because the company had tried to establish a bottling plant in Israel in 1949, but since the Israeli government had blocked the move, Coca-Cola had a convenient reason they served the rest of the Arab nations and not Israel. However, in April of 1966, the truth was revealed when a civil servant in Cairo came into possession of an Ethiopian-made Coke bottle, mistook the Amharic lettering on it for Hebrew, and publicly accused Coca-Cola of conducting business in Israel. 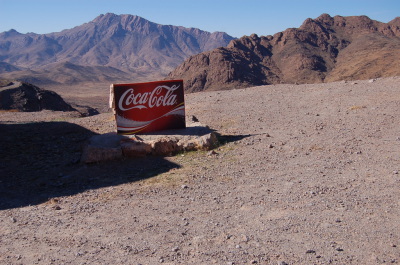 Coca-Cola’s Egyptian bottling operations manager then assured the press that Coca-Cola would never allow Israel to have its Coca-Cola franchise, thus pinning down the company and triggering accusations of anti-Semitism. In response, several Jewish U.S. establishments, including Mount Sinai Hospital and Nathan’s Famous Hotdog Emporium, announced they would stop serving Coke. That forced the company to announce that they would open a bottling plant in Tel Aviv and the Arab League promptly placed Coca-Cola on its boycott list until 1991. 7. 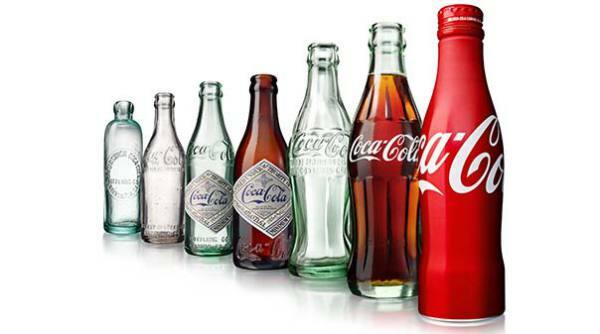 A Cacao Seed Pod inspired the Coca-Cola Bottle In 1915, Coca-Cola’s soda bottles were shaped just like other soda bottles, and the only mark that differentiated their bottles from those of their competitors’ were the Coke paper labels on them. However, when the bottles were placed into water coolers (the standard at the time), the paper labels slid off, making the different brands of soda bottles difficult to tell apart. Coca-Cola then sponsored a bottle-designing competition among its bottle suppliers, and Indiana plant manager Alex Samuelson decided it would be a great idea to design the new bottle after either the coca plant or the kola nut, which were the ingredients Coke was named after. Supervisor of the bottle molding room Earl Dean was on board with Samuelson’s idea, and together, they headed to the local library to do research on those two ingredients. However, they couldn’t find information about the coca plant or the kola nut. Nevertheless, a picture of the cacao pod gave Dean the idea for the “hobble skirt” bottle that Coke is today well-known for. 6. The Chinese Name For Coca-Cola Once Translated To “Wax-Fastened Female Horse.” Upon Coca-Cola’s entry into the Chinese market in 1928, there was no Mandarin translation for its brand name, thus necessitating the identification of Chinese characters that when pronounced read “ko-ka-ko-la.” Of course, the company also had to consider what such characters meant when the characters were strung together. In the meantime, Chinese shop-owners created makeshift signs with characters that when read together sounded like “ko-ka-ko-la.” However, the characters they used resulted in nonsense-meaning phrases like “wax-flattened mare,” “bite the wax tadpole,” and “wax-fastened female horse,” The problem for Coca-Cola was that the syllable “la” usually meant “wax,” so the company had to settle with the character that read “her” and meant “joy.” Finally, the name was completed, and it meant “to allow the mouth to rejoice,” which could reasonably be applied to Coke. 4. Martin Luther King, Jr. Called For A Boycott Of Coca-Cola The Day Before He Died Martin Luther King, Jr.’s speech, “I’ve Been to the Mountaintop,” delivered on April 3, 1968, is best known for how King seemed to foresee his impending assassination, which indeed took place the very next day. And so, as a result of this, we are asking you tonight, to go out and tell your neighbors not to buy Coca-Cola in Memphis. King advocated the boycott of “white goods” as a non-violent means of protesting against racist businesses. At that time, white workers in Coca-Cola plants were getting paid a much higher wage than their black counterparts, while it was the latter who were being made to stay long hours and do the difficult work. 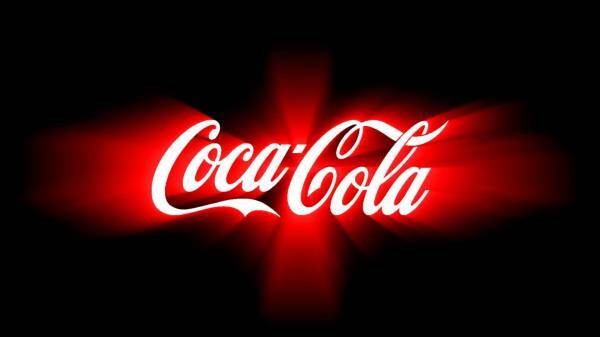 That practice seemed to continue many years later, as in November of 2000, Coca-Cola agreed to pay a large group of minority employees $192.5 million to settle a class-action racial discrimination suit brought against the company. Today, however, Coca-Cola is one of the leading companies regarding the diversity of its workforce. 3. Coca-Cola Was Once Marketed As A Nerve Tonic That Could Cure Morphine Addiction And Male Impotence After being wounded in the Civil War, Colonel John Pemberton became addicted to morphine and sought a safe substitute to the opiate. The first Coca-Cola recipe was then formulated at a drugstore in Columbus, Georgia as a coca wine. In 1885, the substance was registered as a nerve tonic, and the following year, Coca-Cola was sold as medicine that could supposedly cure several diseases, including morphine addiction, neurasthenia, dyspepsia, headaches, and impotence. Of course, today, the drink is marketed simply as a refreshing beverage with no medicinal properties. 2. In India, Coca-Cola Was Found To Contain Pesticides And Has Been Accused Of Degrading Water Supplies In 2003, the Centre for Science and Environment (CSE) in New Delhi announced that water used by Coca-Cola in the production of their beverages contained toxic pesticides that could cause cancer and the breakdown of the immune system. More specifically, Coca-Cola’s beverages were found to contain thirty times the amount of pesticide permitted under EU regulations. The company angrily denied the allegations, but it still saw an 11% drop in its sales. Regarding water supplies, several lawsuits, including those in Kerala, Plachimada, and Varanasi, have been brought against Coca-Cola in India for aggravating the water scarcity situation and degrading the water supply. None of the cases, however, have been decided against the company with finality. 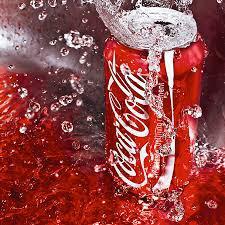 Nevertheless, Coca-Cola has admitted that it takes an average of 3.12 liters of water to create a liter of Coke. 1. Coca-Cola Once Ran A Campaign Against Tap Water In early 2000, Coca-Cola was exposed for running the “H2NO campaign,” an attempt to dissuade diners from ordering tap water drinks at restaurants and instead go for more profitable beverages like bottled water, non-carbonated beverages, and of course, soft drinks. The U.S. campaign involved teaching waiters to use suggestive selling techniques to offer numerous alternative beverages when customers asked for water. For obvious reasons, Coca-Cola had meant to keep the campaign a secret from the public, but a graphic designer in Sacramento discovered an article entitled “The Olive Garden Targets Tap Water & WINS” on the Coca-Cola online public relations portal. He then posted a link to the story on his website, and several mainstream news outlets picked up the issue and reported on it. Expectedly, Coca-Cola was widely criticized for the campaign.